June Marie Havlin, nee Depril, 70, of Breese, died Thursday, December 13, 2007 at her daughter’s residence in Bunceton, MO after a prolonged illness. She was born on April 2, 1937 in Fairmont City, IL, the daughter of Emma Lucille “Grissom” Galbraith and Raymond Depril; they preceded her in death. She married Lawrence Elwin Maden on September 6, 1952 in Arkansas whom she later divorced; he preceded her in death on October 16, 2007. She then married Harold Havlin on July 19, 1969; he preceded her in death on April 15, 1985. Also preceded in death by her sisters, Vivian Kelsch and Jean Ames. Surviving are her daughters, Tina Bennett and husband Stanley of Bunceton, MO, Teri Brown and husband Scott of Hazelwood, MO, and a son, Dudley Maden and wife Stephanie of Breese. 7 Grandchildren-Michael and wife Staci, Philip and wife Christina, Danielle and husband Jimmy, Nicholas and wife Elizabeth, Michelle, Kelly, and Lee; and numerous great-grandchildren. A brother, Donald Depril and wife Carolyn of Pleasanton, TX and nieces and nephews. June worked as a bookkeeper for H. R. Bushman & Son and later for Fresh, Inc. both of St. Louis, MO. 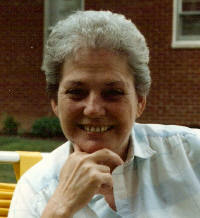 She was a 21 year member of the Breese American Legion Post 252 Auxiliary and was of the Protestant faith. She enjoyed reading and doing Jigsaw puzzles. A Memorial service will be held Monday, December 17, 2007 at 11:00 AM at the Moss Funeral Home in Breese with Rev. Lisa Hart officiating. Family will greet friends from 10:00 AM to the time of services Monday, December 17, 2007 at the funeral home. The Breese American Legion Auxiliary will hod services at 10:30 AM Monday morning at the funeral home. Memorials can be made to the American Cancer Society and will be received at the funeral home.